Is There Growth on the Horizon for Verizon? Over the last few weeks, Verizon's stock has been experiencing an upswing, despite growing stock market volatility. And some analysts are suggesting that the stock may increase by up to 7% in the coming weeks. This would put Verizon's stock at the highest it's been in almost 20 years. And that's obviously good news for the company, current investors, and potential investors. Verizon recently published its third-quarter results, which were impressive for the company. Total revenue grew by 2.8% from the previous year to $32.6 billion. 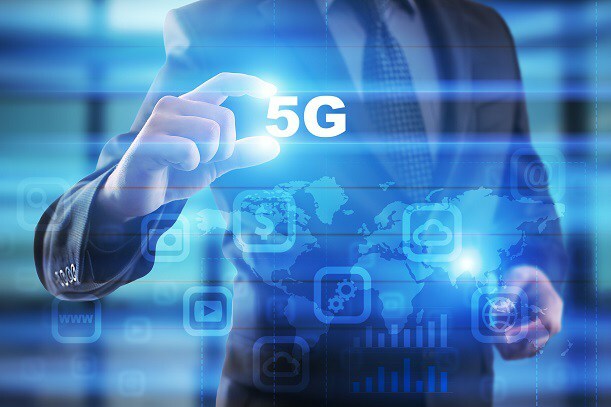 The company's future seems a lot brighter as it continues to position itself as a leader in the fifth generation of high-speed wireless technology, also known as 5G. Verizon has been focused on improving its 5G technology, unlike its other competitors that are focused on making high-profile deals. Verizon wants to be the leader when it comes to 5G and is gearing up to be the first to roll out the tech to customers. The company recently rolled out its "first" commercial 5G installations for residential users in four U.S. cities. And even though the technology isn't technically at its peak right now, there's still a lot to consider before users actually start using 5G. Verizon plans to do a larger scale rollout of the technology within the next year. Rolling out the technology earlier will help Verizon get an idea of the broader industry and some crucial insights. Verizon's wireless and internet of things (IoT) business sectors are thriving and are the source of the company's strength. For Verizon, 5G is the future of the company. It'll be the company's chance to expand in a direction that'll have high demand, like its wireless business. As our society gets even more connected to our smart devices and technology, the need for a tech that can handle that increased demand will be crucial. This is an excellent step in the right direction for any tech company. A recent press release from Verizon announced that both Verizon and Responder Corp., a group of first responders and investors, will be opening an innovation lab in Washington, D.C. The lab will serve as a hub for minds to come together to discuss and discover ways for public safety technology to work with 5G tech and ensure that it improves and maintains the same goal of offering public safety. Partnering with Verizon to launch 5G First Responders Lab is a huge step forward for the industry in delivering on that vision. Verizon's 5G network has the potential to enable some of the most promising and beneficial technologies we've come across. The Lab is our commitment to ensuring those fully enabled solutions are delivered to first responders across the country. This is an excellent partnership for Verizon, and it'll pay off.